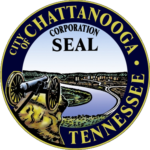 The Chattanooga Interagency Council on Homelessness (CICH) is a group of organizations and individuals appointed by the Chattanooga Mayor that plan, coordinate, and accelerate our city’s response to ending homelessness. Chattanooga saw the power of unifying the community around a common goal through Mayor Berke’s initiative to end veteran homelessness, when the US Interagency Council on Homelessness recognized Chattanooga as one of less than 100 communities to have achieved a functional end to veteran homelessness. The Chattanooga Interagency Council on Homelessness creates a platform to build continual planning and progress towards addressing homelessness in our city. By bringing together not just homeless service providers, but also organizations that work to serve homeless individuals like foundations, churches, government agencies, healthcare organizations, and, activists we can unify our community around a common plan. A plan to get more individuals into housing first and deliver services efficiently and effectively. We acknowledge past efforts and groups like the Chattanooga Blueprint to End Homelessness and the Interagency Council formed to carry out the blueprint. It’s been over a decade since the first Chattanooga Blueprint was released in 2004, and the need is clear for a new plan and coordination effort to address the issue of homelessness in our changing city that continues to live past City administrations. To our partners that are on the ground each and every day doing the yeoman’s work of assisting homeless individuals, we strive to ensure that this group provides a platform for you to build new partnerships, find new resources to grow your work, and makes your job easier and streamlined.